Welcome to Bon Acre Community! 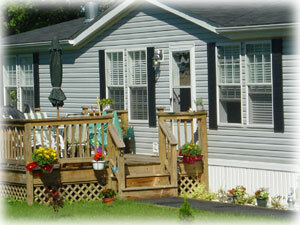 We are a 54-site manufactured housing community located on 25 acres along RT. 43 in the scenic community of Averill Park, NY. Our spacious lots are all one-quarter acre or larger, with green lawns and abundant, mature landscaping. Multi-sectional and single sectional homes are owner-occupied and all have vinyl siding and shingled roofs. Pride of ownership shows with every home! Although located in a rural setting, the Bon Acre Community is within a few miles of grocery, hardware and pharmacy. Community children attend the Averill Park School District, which is well-known for its excellence in education and facilities. might have about the community. Please contact us for more information about purchasing an affordable home from Bon Acre Management Corp. We welcome the opportunity to work with you toward your new home goals. In addition, we proudly represent manufacturers of new homes. Please contact Sales for further information.